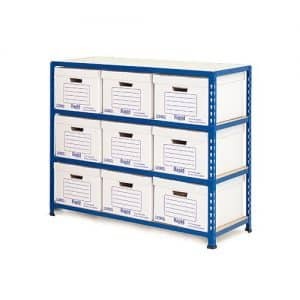 Prevent clutter in your work space with our range of archive. 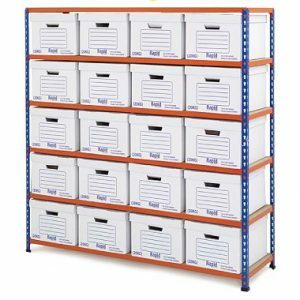 Quick and easy to use, our office storage boxes will help you protect and organise a range of items such as box files and reports. 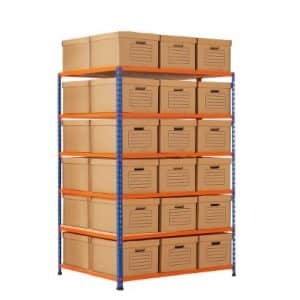 They also come in a variety of materials such as laminated board and sturdy cardboard and a range of sizes including A4. 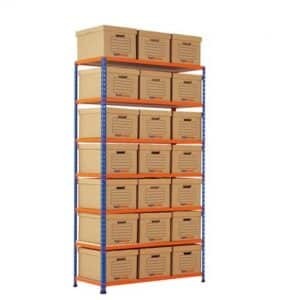 These boxes are designed for frequent moving and handling of records. 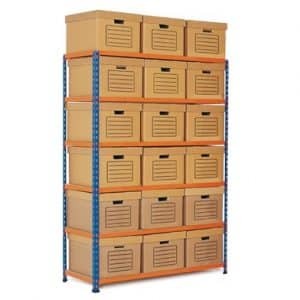 Keep your documents and papers stored away in a dust free environment with Garage Shelving.